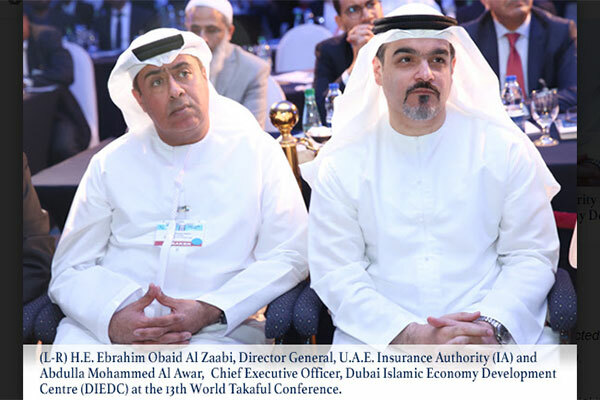 Over 300 industry leaders from GCC, Asia, Africa and Europe are expected to converge at the upcoming Takaful & InsurTech Conference (WTIC) in Dubai, UAE. Themed “Reinforcing Customer Engagement and Operational Agility through Digital Transformation”, the conference will see unique innovations in the form of an Innovative Insurer Showcase Session. Attendees can explore transformative solutions by way of insurance products, services and technologies, an exclusive Regulators’ Rendezvous whereby insurance regulators from GCC & Asia will share the best regulatory mandates and practices for the industry to unleash its full potential whilst maintaining compliance, an Insightful Audit Session on IFRS17, the World Takaful & Insurance Huddle - a congregation of global Takaful leaders to exchange viewpoints and Presentations focusing on artificial intelligence solutions that detect insurance fraud and streamlining aggregators’ regulations for better governance, among others. Key industry veterans from leading corporates, banks and regulatory bodies will headline the forum and impart valuable insights on a host of central themes affecting the Takaful and Insurance Innovations industry at large. Sager Nadershah, managing director, Aljazira Takaful, will offer his insights on aiding Takaful operators through substantial regulatory requirements on technical underwriting, pricing, technology adoption and risk management. “Saudi Insurance market continues to evolve due to strong government reforms and long term vision supporting the insurance industry growth namely expanding insurance coverage to increase penetration, enhancing the company's corporate governance, focusing on building strong solvent companies, enabling business through talent creation and increasing the penetration of protection and saving sector. It is my pleasure to a part of the 14th Annual World Takaful & InsurTech Conference and address these key points”, said Nadershah. WTIC 2019 will also see the launch of the Milliman Monitor 2018 UAE insurance report, equipping Takaful leaders in the regulatory, demographical and technological landscape to take stock of the key industry trends, and explore factors that are critical to their organization’s long-term growth.